If you suffered injuries in an auto accident caused by a negligent driver, you could be off work for months or longer while you recover from your injuries—if you are able to make a complete recovery. You could incur hundreds of thousands of dollars in medical bills and loss of your wages during this time period. Even if the negligent driver has automobile insurance coverage, he may have only purchased the minimum required liability coverage under Texas law—$30,000 per person and $60,000 per accident for personal injuries. This could fall far short of the compensation you need and deserve. Negligent driver. Your first source of compensation is filing a claim with the negligent driver’s insurance policy for your personal injuries and property damage to your vehicle. If his policy is insufficient to fully compensate you, you can sue him individually for the balance. However, typically, most negligent drivers do not have the financial resources to pay the large amounts owed to accident victims. Underinsured or uninsured motorist coverage. Depending on whether the driver had insufficient insurance coverage or no insurance, you could file a claim with your own insurance company under underinsured or uninsured motorist coverage if you paid for these additional coverages. Even though you are filing a claim with your own insurance company, you should not expect the claim to be resolved easily and should retain an experienced car accident attorney to negotiate your settlement for you. Personal Injury Protection (PIP). Under Texas law, all automobile insurance policies are required to provide at least $2,500 in PIP coverage unless you waived it in writing. You also have the option of purchasing additional coverage. You could file a claim for your medical expenses and up to 80 percent of lost wages under this coverage. MedPay. Under Texas law you are not required to purchase MedPay coverage. However if you did, this could be a source of compensation for your medical expenses. Umbrella insurance policy. The negligent driver may have purchased an umbrella insurance policy, which is additional liability coverage to protect him if a claim is filed following a car accident. Filing a claim under this policy could result in your obtaining additional compensation from his insurance company. Negligent driver’s employer. If the negligent driver was working when your crash occurred, you may have a claim against his employer under the theory of vicarious liability. This legal theory holds an employer responsible for its employee’s negligent actions if they occurred during the course of his employment. Owner of vehicle. If the negligent driver did not own the vehicle he was driving at the time of your accident, you would still file a claim with his automobile insurance company. In addition the vehicle owner could face liability, and you may be able to file a claim with his automobile insurance company, as well. Auto repair facility or mechanic. If the negligent driver’s brakes, tires or other parts were improperly repaired and this caused your wreck, you may have a separate claim against the auto repair shop or mechanic for causing your injuries. Auto manufacturer. In some cases a car accident is caused by defective automobile parts. This was the case in the serious injuries and deaths caused by Takata air bags. If this was the reason for your injuries, you may need to pursue a product liability claim against the auto manufacturer and the manufacturer of the defective part. Were you injured in a car accident that was not your fault? 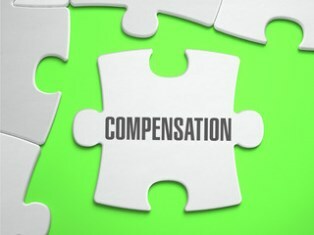 Pursuing these additional sources of compensation can make a huge impact on your settlement and your life. To learn how our experienced car accident attorneys can help you, call our office today to schedule a Complimentary Strategy Session. We worked injured victims in Bedford, Arlington, Euless, and surrounding areas.